Have you ever tried maple glazed candied nuts? If you haven’t, you don’t know what you’re missing! 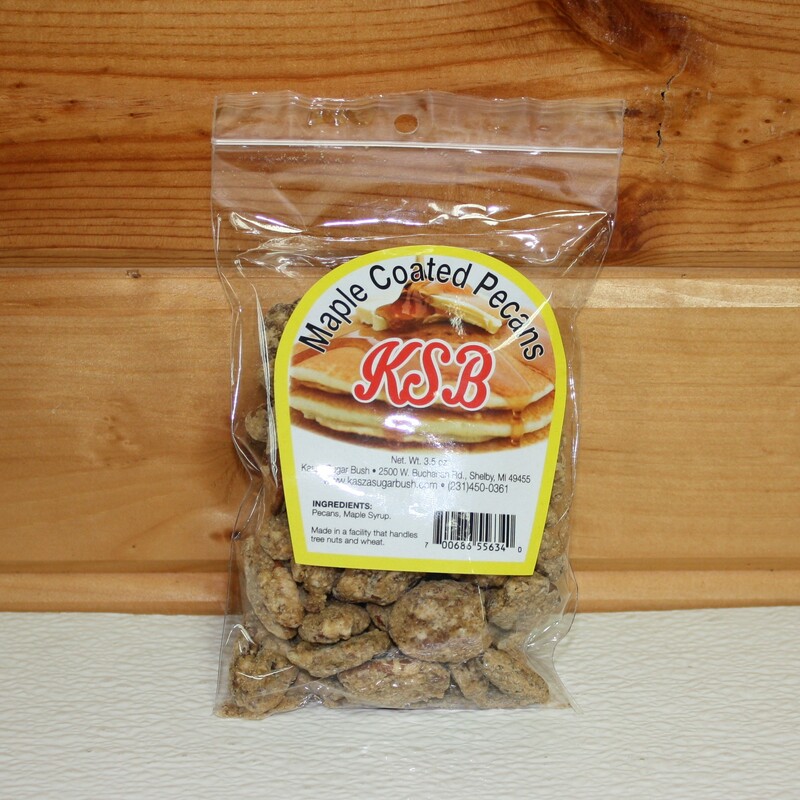 Kasza Sugar Bush offers coated pecans and almonds from our store in Shelby, Michigan, that are even more delicious than they sound! Now available for order online, our candied nuts have concentrated maple syrup that is crystallized around premium almonds and pecans. Sweet, salty, and crunchy, they’re a snack unlike any other! 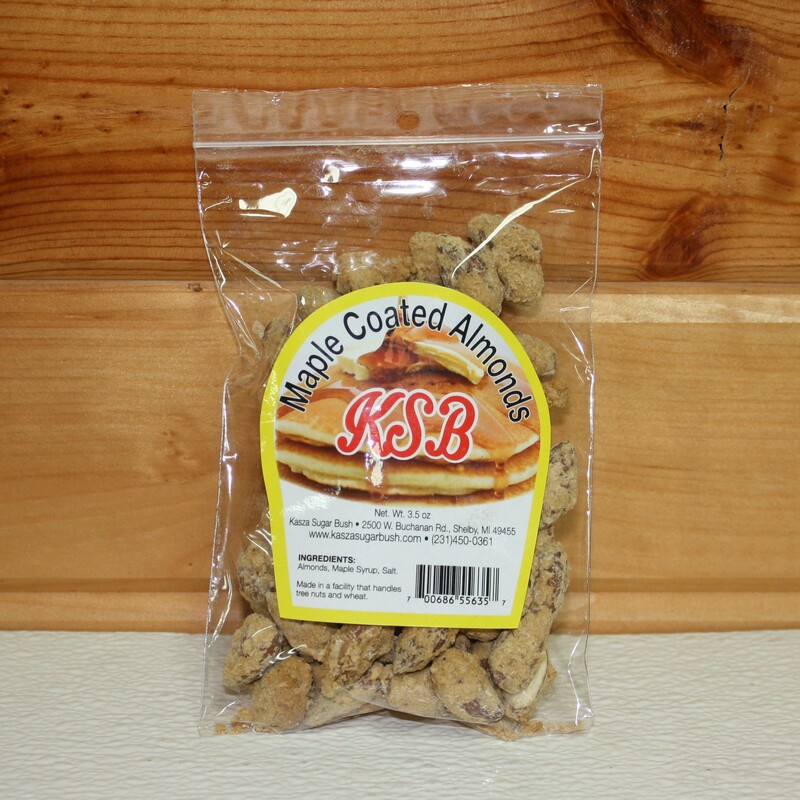 Our candied nuts are packaged in 3.5 ounce bags that are re-closable, ensuring it will be easy to keep them fresh. They are a wonderful gift to give to the nut lover in your life, and they can be the perfect component to add other dishes, such as salads and desserts. To place an order, simply click the “Add to Cart” button on the bottom of the page, or you can always come and visit us in our shop. If you have any other general or specific questions, do not hesitate to contact us today.